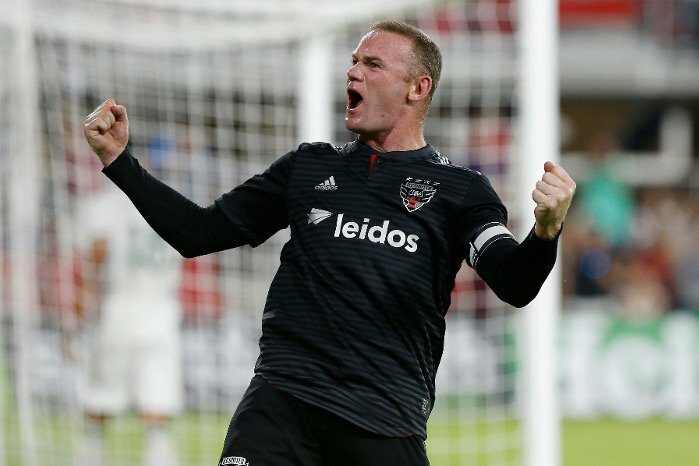 Wayne Rooney is having fun in the MLS as he continues to perform for his club DC United. The Manchester United legend was involved in DC United's last-minute goal at Orlando last weekend, Rooney's incredible tackle stopped an opponent from scoring as DC United's goalkeeper was in the opponent's box for a corner kick that led to the counter, after stopping the threat, Rooney looked up and played a long cross field ball for Acosta to head in for the winner in the 95th minute of the match. Wayne Rooney's first goal of the match was from a well-timed run before he slots in calmly to beat Portland's goalkeeper to level the match. The second was a well taken freekick to make it 3-1. Wayne Rooney is really putting in the work in the MLS, it's not just about the fat paycheck after all.